Delaware Attorney: Christian G. McGarry | Elzufon Austin & Mondell, P.A. 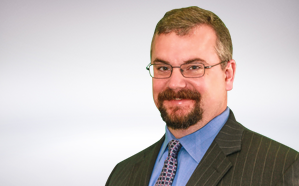 Christian G. McGarry is a Director in our firm and part of the Workers’ Compensation Defense Department. Chris was born in Wilmington, Delaware on June 21, 1974. He was admitted to practice in both Delaware and New Jersey in 2001. Chris is a graduate of the University of Delaware (B.A., 1996) and Widener University School of Law (J.D., 1999). Before joining the firm, Chris served as a Judicial Law Clerk for The Honorable Kenneth M. Millman, The Honorable Peter B. Jones, and the Honorable John E. Henriksen in Sussex County Family Court of Delaware (2000-2001). Delaware State Bar Association and American Bar Association.